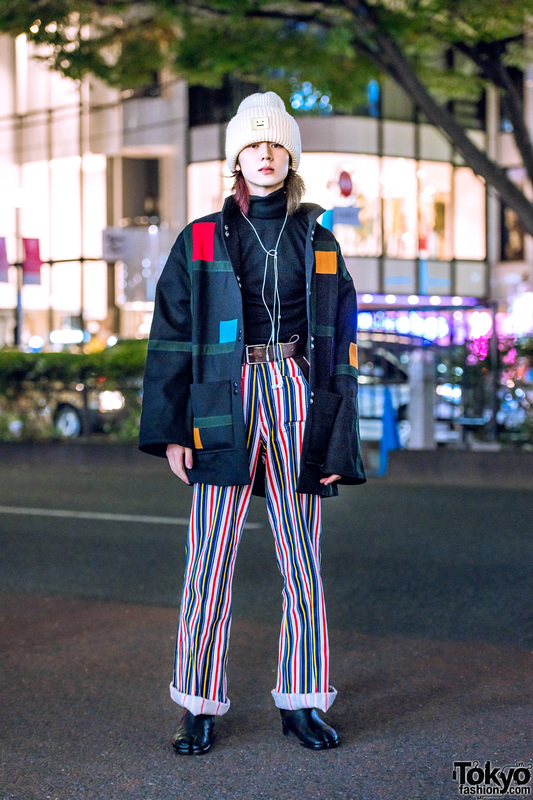 Harajuku guy wearing a vintage jacket, a black turtleneck, vintage striped pants, and tabi boots. 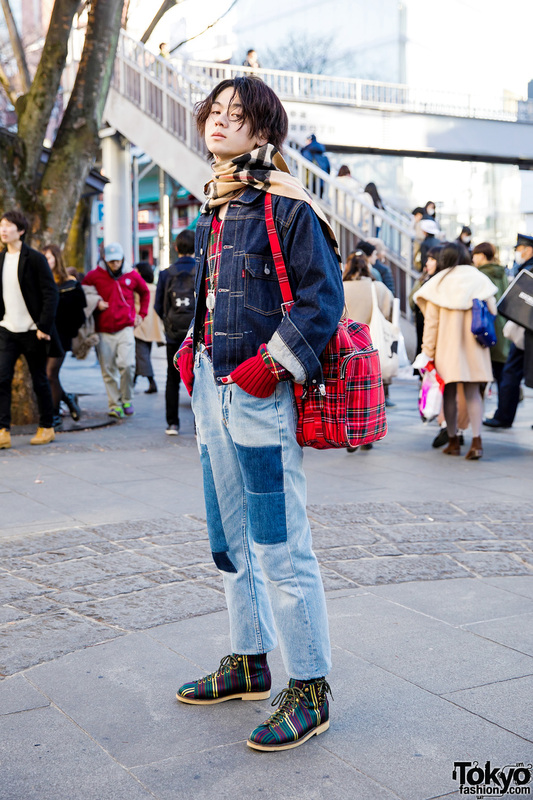 Harajuku guy wearing double denim and mixed prints. 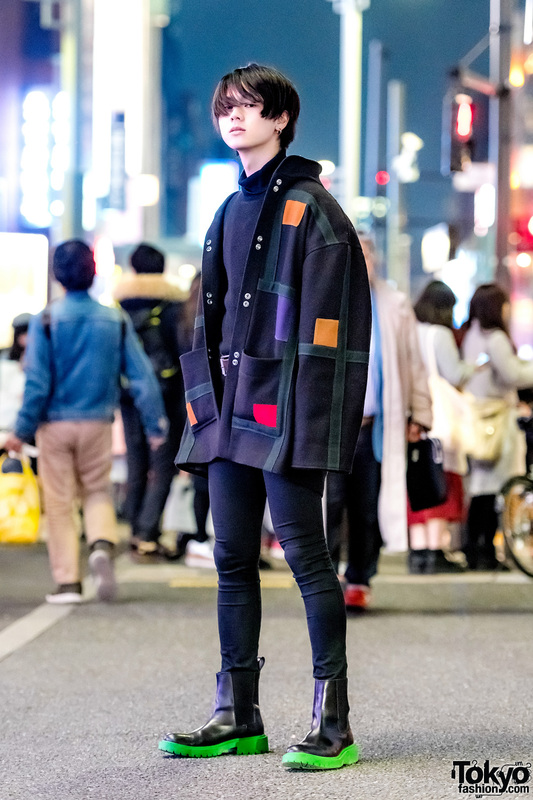 Japanese guy wearing designer pieces while out and about in Harajuku. 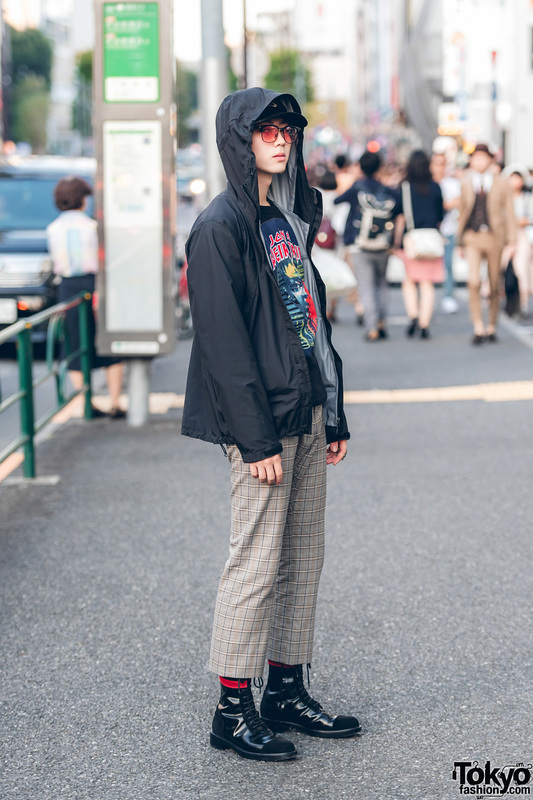 Japanese model showcasing all-black vintage street fashion while out and about in Harajuku.